Nally 13.7 meter, two stage tilt-over, pole mount tower. Intended to be the main tower at the Upper Beacy QTH. This tower shall have a large HF yagi and 40 meter rotatable dipole installed. 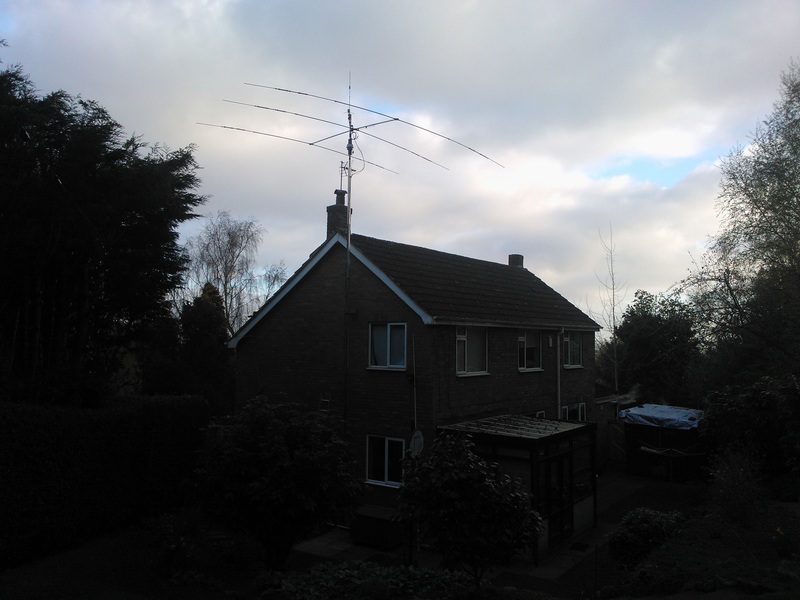 Nally 13.7 meter, two stage tilt-over, pad mount tower. Intended to be the secondary tower at the Upper Beacy QTH. This tower shall have an array of VHF / UHF yagi and vertical antennas installed. Bespoke tilt-over tower mounted to the side of the house. Approximately 12 meters (~40 feet) in height when fully extended (excluding stub mast). Total height is about 14 meters when fully extended. Currently under the house, not erected since we moved from UK to Australia!